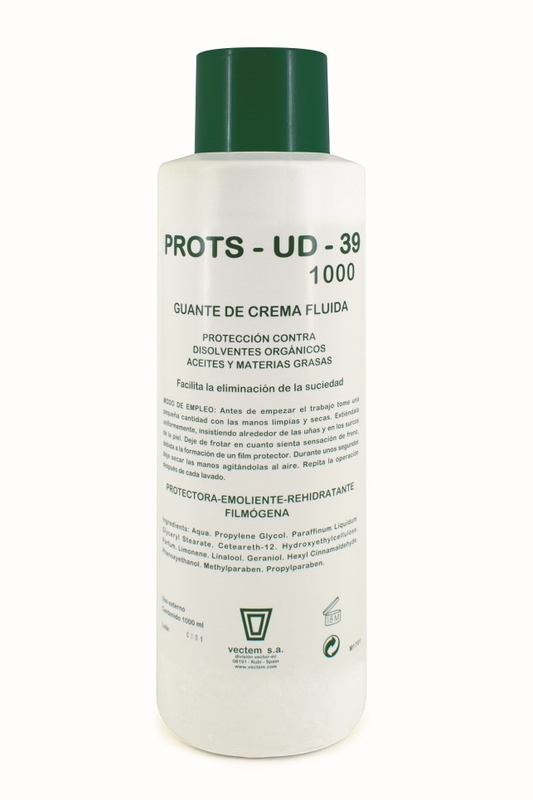 PROTS UD 39 , vectem s.a.
· Filmogenic cream that provides protection against solvents and grease, formulated with skin-compatible ingredients. 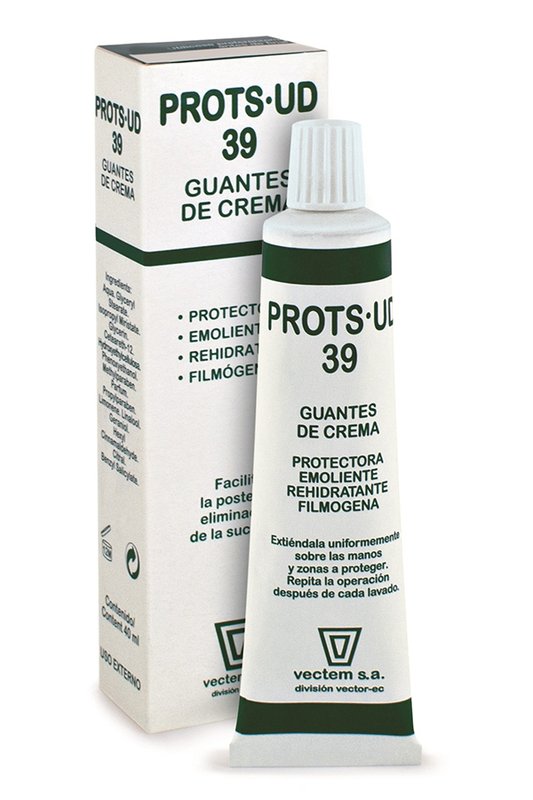 · Can be used daily at work for hand care and protection without causing discomfort. Helps relieve dryness and reduces ingrained dirt and stains on the skin.